As hybrid models become the norm, businesses are seeking channel expertise from the edge to core to cloud, driven by a right workload, right environment approach. 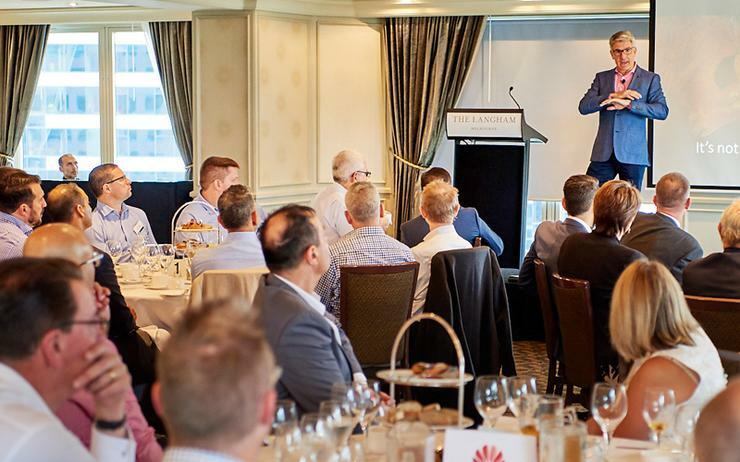 As explained by Iles - during exclusive ARN Exchange events in Sydney and Melbourne - Australia is now considered an industry-leading cloud destination, housing the top three hyper-scale cloud providers in the form of Amazon Web Services, Microsoft Azure and Google Cloud Platform. Furthermore, the market has also witnessed a “significant build out” of data centre capacity, with high-level demand and supply “pretty well balanced”. Citing Tech Research Asia findings, Iles said that the dominant theme from customers centres around ongoing consolidation either to colocation or cloud services. Specifically, 75 per cent of Australian customers are planning to conduct some level of consolidation of their existing data centres within the next 24 months. Delving deeper, EDGE Research highlighted cloud migration as the leading priority for customers in Australia today, followed by data centre expansion and migration. “This is echoed by our own experiences chatting to customers and partners,” Iles explained. “As hybrid cloud becomes the de facto operating model for customers there is an increased focus on data centre expansion and consolidation activity. The shift in market dynamics comes as customers realise that despite the advantages of public cloud, the environment isn’t best suited to every workload. “There is a place for private cloud,” Iles added. “Advances in technology over the last few years, particularly in the management and orchestration of private cloud systems are also helping to drive adoption. In light of changing market conditions, Iles observed that partners are well-positioned to capitalise on increased end-user need for viable IT strategies across Australia. “Partners are in a great position,” he said. “They can say to a customer, ‘we will look at your current environment and develop a strategy that will use a mixture of cloud platforms and technologies to deliver the outcomes you want’. From a components perspective, Iles advised technology providers to invest resources and skills into creating a hybrid cloud strategy capable of aligning to hyper-converged infrastructure (HCI) requirements. “The key components are the hardware stack,” he added. “Typically a HCI system in today’s environment and then the software stack that sits on top, usually a mix of virtualisation and/or containerisation technologies, software-defined networking and security and a management orchestration layer. Read more ARN Exchange: how can partners capitalise on the new data centre agenda? “Developments in recent years mean there is a wide choice for partners to choose from including technologies such as Azure Stack that can provide public cloud style services on a private cloud environment. Of note to the channel, Iles said using a common private cloud solution stack allows partners to develop a single set of support and management processes, capable of spanning multiple customers whether the infrastructure is on a client’s premises managed by the partner or in the partner’s data centre environment. “The common solution allows partners to adapt the solution according to a customer’s needs whilst utilising the same tools and processes for management and reporting,” he said. Specific to partner skills, Iles cautioned that work is still to be done around cloud migration in the channel, with customer demand still outstripping supply. Such a market gap was highlighted during EDGE Research, in asking customers what skills were most lacking when looking to engage with external technology providers. “Cloud migration was a clear second place behind digital transformation,” Iles explained. “On top of this, security is paramount, understanding how to fit a common security policy onto diverse cloud platforms isn’t easy and requires expertise. With increased technology and solutions now available in the market, the channel remains at a crossroads as to the merits of building out a private cloud offering. If the decision is to build, then Iles said the question centres around vendor selection. “This decision really has two streams,” he said. “First, a technical stream looking at solution stack, HCI infrastructure and management platforms. According to Iles, common challenges relate to vendors “not fully aligning” to channel needs, rather continuing the process of simply trying to sell equipment and passing on risk to partners. “In some cases, this is exacerbated when their sales people won’t help bring customers onto the platform as it doesn’t generate net new hardware sales,” Iles cautioned. In looking ahead, Iles cited edge technology as a “great opportunity” for partners across Australia, in response to increased investment at a customer level. Consequently, Iles advised partners to seek out data centre providers with regional plays, plays capable of providing a competitive advantage in a crowded marketplace. 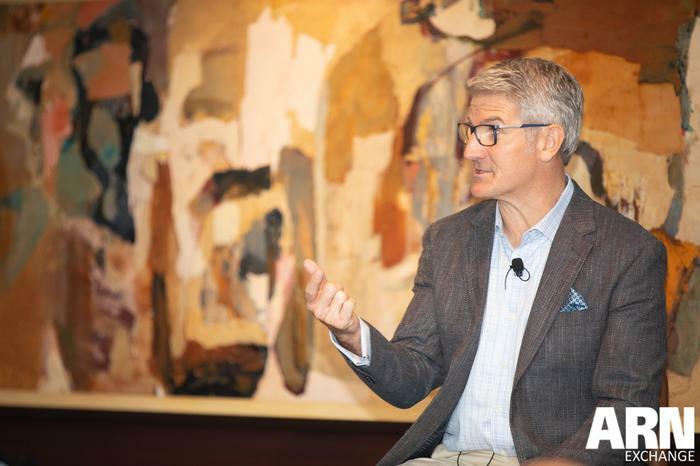 “Customers are increasingly looking to extract better business outcomes from technology, and many are realising that managing infrastructure is not a core competency,” he concluded.